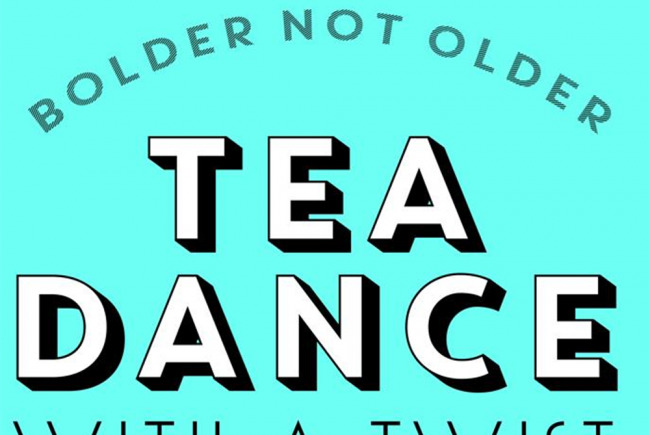 Tea Dance With a Twist - is an intergenerational event taking place at Hammersmith Town Hall on Saturday 16 March 2019. Does a dance floor say Strictly to you? Or do you prefer to bust your own moves? The DanceWest Tea Dance with a Twist is a contemporary, dynamic event that has something for everyone. A live jazz band, led by jazz legend Jack Honeyborne, will play hits ranging from 1940s jazz standards to modern pop classics. 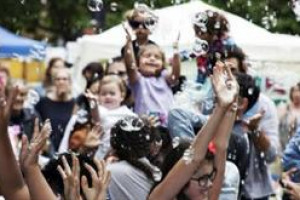 There will be opportunity to waltz and foxtrot, but more than anything, this intergeneranational event will provide a chance for dance fans of all ages to simply have a bop – together. A total of 60 dancers will also pepper the afternoon with live dance performances. Professional flamenco expert Sam Quy and dance theatre duo Thick & Tight will treat Tea Dancers to performances, alongside Sadler’s Wells’ Company of Elders, DanceWest Bolder not Older group and the DanceWest Youth Company. Participants are encouraged to dress up in bright colours and throw themselves into the DanceWest Tea Dance with a Twist. DanceWest mission is to engage people of all ages and abilities in high quality dance activity, improve the mental and physical health and wellbeing of all people through dance, and create new performance and employment opportunities for dance artists across West London. DanceWest is a registered charity (117424) based at Lyric Hammersmith. Bolder not Older is a free dance programme for adults aged 65+.The programme offers adults access to free weekly dance classes and takes place sheltered accommodation, care homes and community centers. Bolder not Older was launched in 2015 in response to a survey we produced in partnership with the London Borough of Hammersmith and Fulham. Since then we have developed the classes and work in partnership with several London boroughs, partners and venues offering a programme of seated, seated to standing and active dance classes. Bolder not Older is an inclusive programme that offers classes for active and vulnerable adults with long term health conditions, disabilities and limited mobility. Our youngest dancer is 65 and our oldest dancer is 98 years old. We also produce the Bolder not Older Dance Co - for adults 55+ offering access to train, rehearse and work alongside professional choreographers. Project Delivery Manager: DanceWest The Project Delivery Manager takes legal responsibility for receiving and spending the funds raised and ensuring the project is delivered.